Wall Street finally calmed down Tuesday after two volatile weeks. The Dow closed up 39 points. It traded in a 284-point range, the lowest since January 30. Investors reset after a "nice two-day bounceback," said Peter Boockvar, chief investment officer at Bleakley Advisory Group. The Dow closed higher for the third straight day. It has added almost 800 points in that time. The average has recovered more than a quarter of what it lost from the market peak on January 26 through the closing low on Thursday. Tuesday was a departure from the wild swings that have gripped Wall Street in recent weeks. For the previous seven sessions, the average trading range was more than 900. "For the moment, at least, it seems the buyers have the upper hand," said Brad McMillan, chief investment officer for Commonwealth Financial Network. But the smooth ride may not last. On Wednesday and Thursday, the government reports on consumer and producer prices. Investors will be watching for a pickup in inflation. 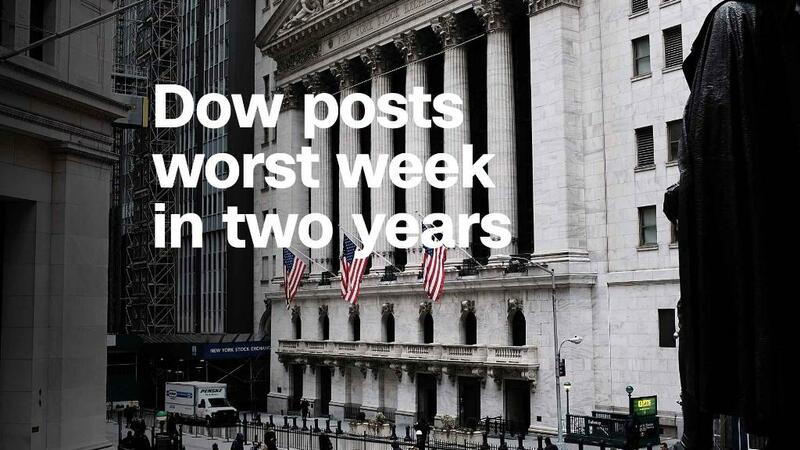 Fear about inflation initially drove the market sell-off that began February 2 and included two 1,000-point plunges in the Dow. Wages climbed in January at the fastest pace in nine years. "We're looking for a pattern from different perspectives," said Quincy Krosby, chief market strategist at Prudential Financial. "We saw wages beginning to show traction. We'll see if these reports also indicate that inflation is in fact gaining." Low inflation and interest rates have helped fuel soaring stock prices. Inflation concerns investors because it could lead the Federal Reserve to hike interest rates more quickly than planned. That would make the cost of borrowing higher and would dent corporate profits. If the consumer price data comes in higher than investors anticipate, it may lead to a pickup in selling, predicted McMillan. The stock market has been taking cues from the bond market. As bond prices have fallen, the 10-year Treasury yield, which reflects inflation worries, is trading near a four-year high. The 10-year Treasury yield climbed rapidly from 2.4% at the start of 2018 to about 2.82% Tuesday. Higher returns for ultra-safe government bonds could hurt demand for riskier assets like stocks. Despite the comeback on Monday and Tuesday, the Dow and S&P 500 remain down slightly for the year. The Nasdaq is up 1.6%. — CNN's Danielle Wiener-Bronner and Matt Egan contributed to this report.